The iPhone XR is officially Apple’s best-selling iPhone at the moment but that doesn’t mean iPhones are selling as well as they used to. For months multiple reports have pointed towards much weaker demand for Apple’s latest models. And now, according to a new Bloomberg report, Apple is testing various marketing strategies designed to shift more units. 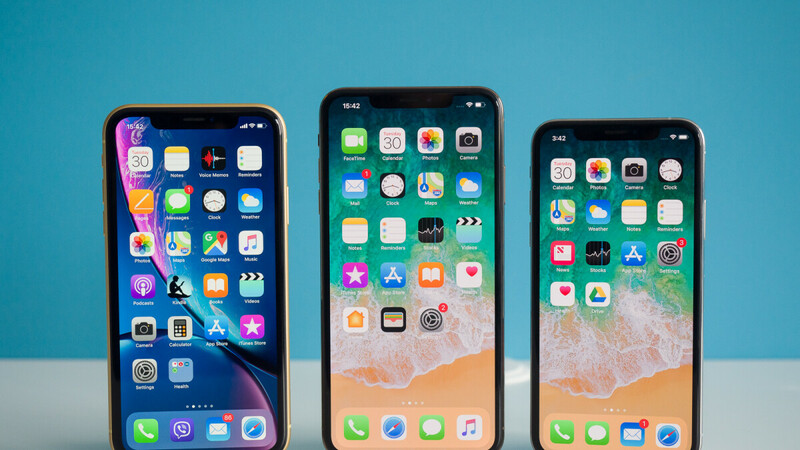 It’s claimed that company executives moved marketing staff around in late October, taking them off of other projects and placing them on the iPhone team. The whole shuffle was described as a “fire drill” by a person familiar with the matter. Since this change, Apple has focused heavily on trade-in programs which lower the price of new models significantly. But perhaps the biggest example of this comes from this past Sunday. The Cupertino giant place a new banner on its website’s homepage which advertises the iPhone XR for just $449. The only requirement is that customers trade in an iPhone 7 Plus. Another unusual shift for Apple comes in the form of their descriptions on the web. Usually, the name of each iPhone would be accompanied by its one-line marketing slogan and a “Learn More” link. As part of the company's recent change, though, these one-line slogans have been replaced with significantly more descriptive pieces of text that list the most impressive features. With Apple no longer prepared to share iPhone shipment figures with the public, the only way to measure its performance is through the total revenue. But with the average selling price of iPhones continuing to increase each quarter, a direct comparison with previous quarters isn’t exactly possible. Its a simple fix. Apple should have never released the XR. Apple should lower the prices of their phones from $999/$1099 to $699 and $799 for a XS and XS Max. Charge only the customer $50 for each storage tier. They would sell a ton! That's the fix. Naw getting rid of the home button and a hideous notch is their mistake. I disagree. I rather have a notch or better (Samsung’s) hole, than any bezel and a chin small or big. Home button was made obsolete with gestures. (The only thing I’d do, is get rid of the gesture bar at the bottom when playing games - overlaps a life bar in pubg. Other than that - I love the improvement. The bezels was 2nd favorite like on Samsung's phones. I agree, those changes are difficult for some to adapt to. Many people loved the physical home button with FPS, and the ease of use. Some will have difficulty adjusting to gestures, some people resist change. Nope they work for investors, not customers. Find a compelling way to create new customers. Make it so someone like me would want to give up Android for iOS. The majority of apple's loyal users won't go anywhere, but I doubt it will be enough in the long term. From what I’ve seen there are just as many switchers back and forth. Both platforms have about equal pros and cons. Just lower the freaking ridiculous price by $400 each and priced them below the Android flagships (because in reality iPhones are inferior to Android flagships both in terms of BOM, sophistication of software, and amount of useful features), and then they will (probably) sell. Apple...listen, and listen well. iPhones cost way too much, for what they offer! The ecosystem thing isn’t flying, cause the iPhones period tap into the ecosystem, not just the 3 new models. People (even the sheep, except for the big 4 on this site), are speaking with their wallets. This no longer sharing sales figures (to not frighten share holders), the increase in price (to make up for the decrease in volume), the boring UI, the lack of innovative features, the boring static grid layout from friggin 2007, no multitasking, PIP, themes, Pencil support etc has gotten long in the tooth. Even killing off the X, to force more sales of the 3 new models isn’t working. The phones, although good, have had several notable issues (we all know them), from an update that skipped adding a lotta new features to focus on stability, and performance SMDH. C’mon Apple, a trillion dol...oops 800 billion dollar company, should give us much more these boring lackluster 2018 iPhones. 2019 needs to, and had better be truly great, cause we already know Samsung and Huawei are bringing the noise. Stop being so greedy, and allow the A12 & 13 to be put to the test. Move some of the iPads features (copied from the Note line) over to the iPhones. That would be a great step in the right direction. The iPhone line, plain and simply...needs a serious shot in the arm. Typed from my Max. The iphone isn't the only one feeling the pain when it comes to sales. I understand that fact is going to elude you but I thought I should educate you first. Carry on. All that is irrelevant and isn't reason, people just keep their phones longer, it's not rocket science. As long as people don't switch to android Apple is fine. If users keep their phones, they stil keep making money for Apple by using their ecosystem (no-one else than google doesn't make money like that) and when they get something worth of upgrade they buy another iPhone. Did you completely missed the the fact that Samsung just lost 10 million sales yoy while Apple sales stayed same level yoy. It looks like Apple is doing very well knowing the situation in the market. Don't cry, it'll be ok. Apple just needs to give more for the money. I guess move to USB-C will make all mac users to upgrade their phones next year. Easy charging and don't need to carry multiple cables. I was anticipating it would arrive this year, but it's better late than never. I just can't wait as I can charge my phone at anyone's house LOL. That's what Android folks doing already for sometime. Somehow they are always ahead though Apple charges the premium being behind. Because, you know, the phones themselves couldn't sell it.